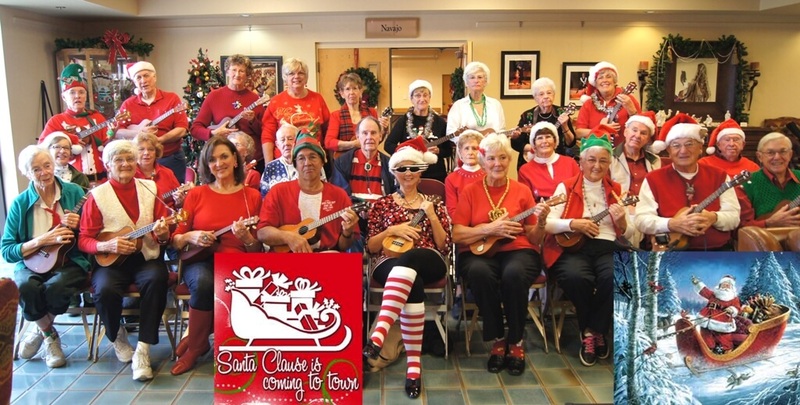 The purpose of the Sun City Strummers Ukulele Club is to promote and celebrate learning and playing the ukulele. 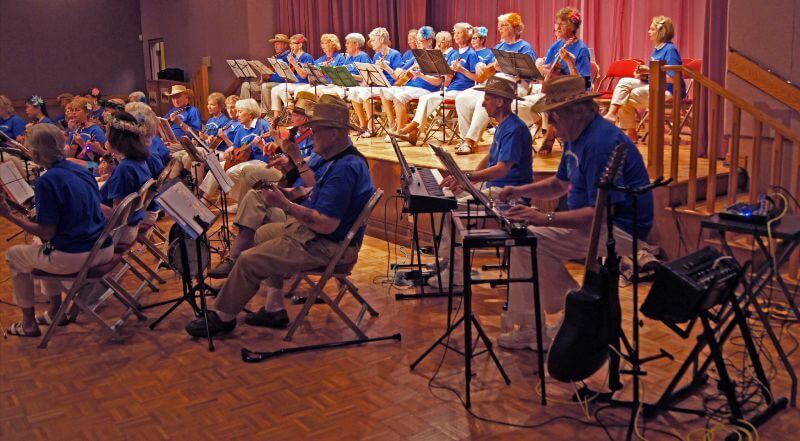 We are a year-round club that welcomes experienced musicians and those who have never played before. We meet most Tuesday mornings in the Desert Oasis. Please check the SCOV calendar. 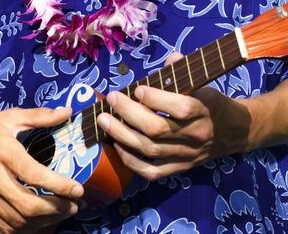 We love the ukulele for many good reasons. It’s small enough to carry around and small enough to wrap your hands around, even if they don’t work as well as they used to. It’s easy enough to play that most of us can get it and hard enough that we are proud of ourselves when we do. It makes a sweet sound that you can easily sing along with. Most importantly, it is a time machine — perfectly suited to play songs that have lain dormant in our hearts for years When we play and sing them, our spirits take wing and we soar back — to the sweet dream of dancing in a lantern-lit hall; to the warmth family sing-along’s on Saturday night; to that special song playing on the car radio as we drove home with our first true love. We hope you will join us. 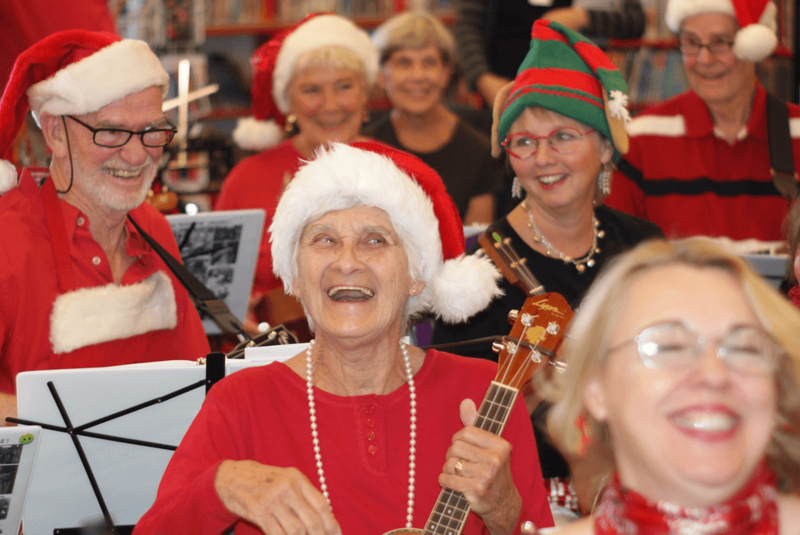 We promote practice sessions to build our ukulele skills and friendships.